Well-dressed jazz punks with a passion for classic and neo soul. Jazz Party play RnB inspired tunes with a contemporary bent. Made for the bar room not the ballroom, the collective are known for their sporadic take-over residences in Melbourne. With Darcy McNulty’s wailing saxophone leading the horns section, the silver-tongued backing vocals by the jazzboys form the perfect backdrop to the almighty roar of lead lady and soul diva Loretta Miller (Clairy Browne & the Bangin Rackettes). 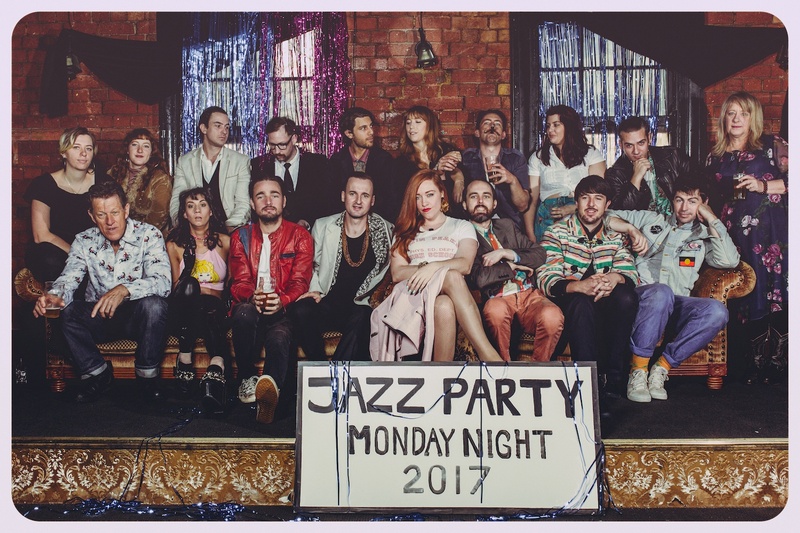 In 2017, Jazz Party released their debut album ‘Monday Night’, boasting epic horn sections, manic keys, soulful melodies and heartbreaking vocals. They’ve performed at New Years Evie, Golden Plains, Wave Rock, WOMAD & St Kilda Festival, as well as supporting New Orleans Grammy Award nominated jazz-funk band, The Hot 8 Brass Band. Playing a slippery mix of jump blues, boogie, and rhythm n blues á la New Orleans, this awesome band of legends will have you dancing with strangers in no time. Playing a slippery mix of jump blues, boogie, and rhythm n blues á la New Orleans, this awesome band of legends will have you dancing with strangers in no time!